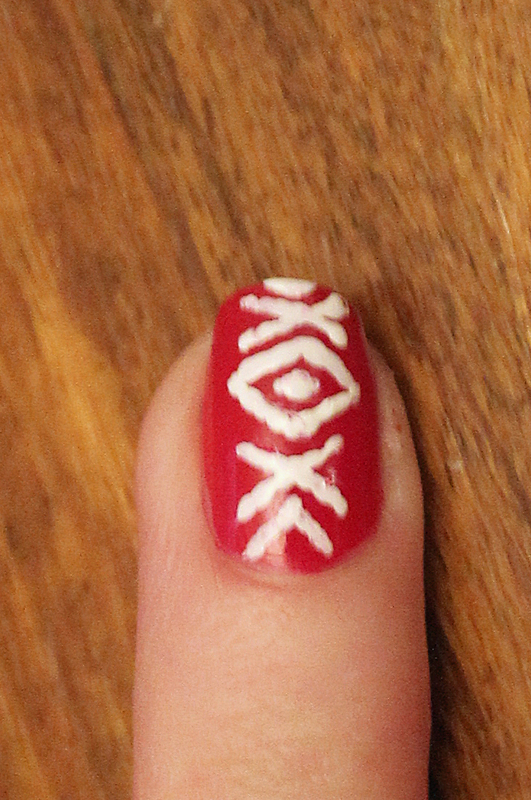 I’ve broken this design down for you in the steps below, nail by nail as each nail has a different design. 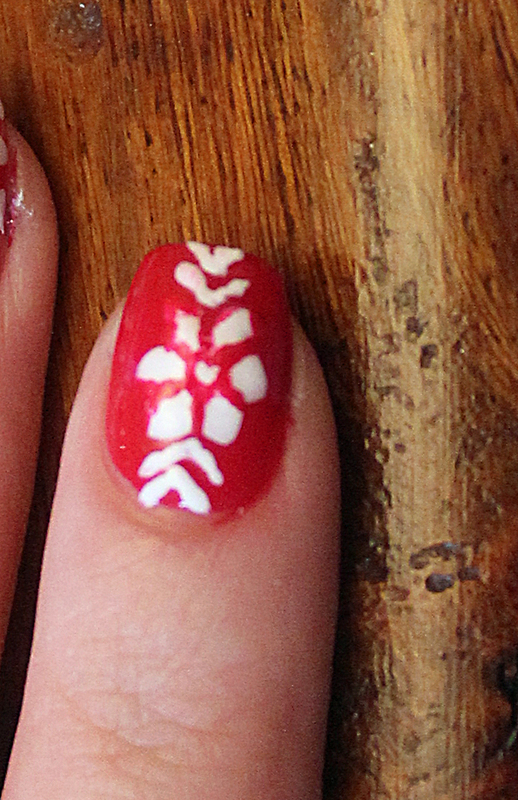 The main tip to bear in mind – if at first you make a slight error, or the lines are slightly wobbly, you can tidy it up by applying the background colour (in this case red) and re-outline the design. 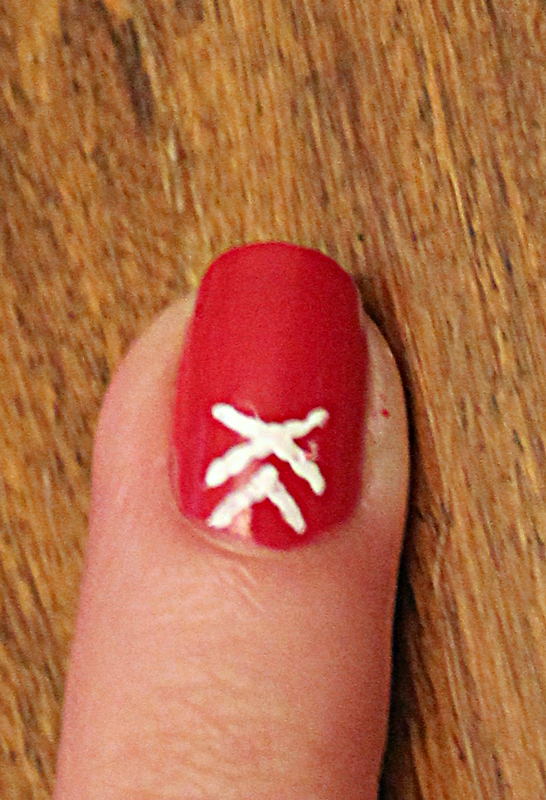 This is based on the Christmas jumper look so I don’t feel the motifs have to be perfect, it adds the fuzzy jumper look if they aren’t. 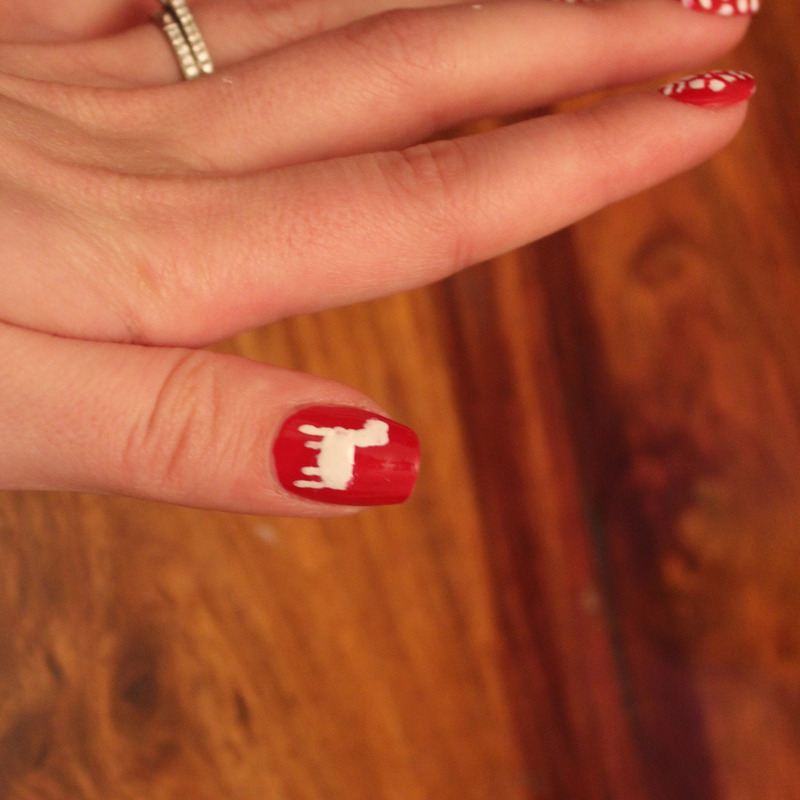 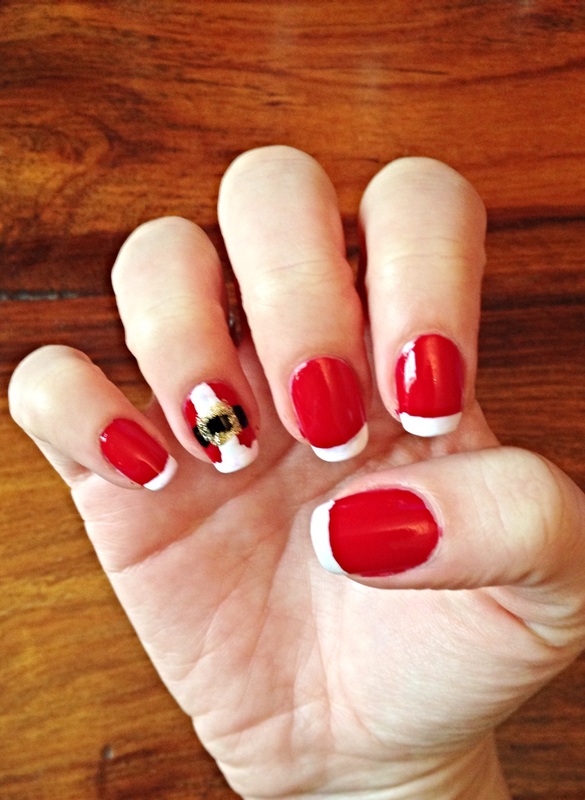 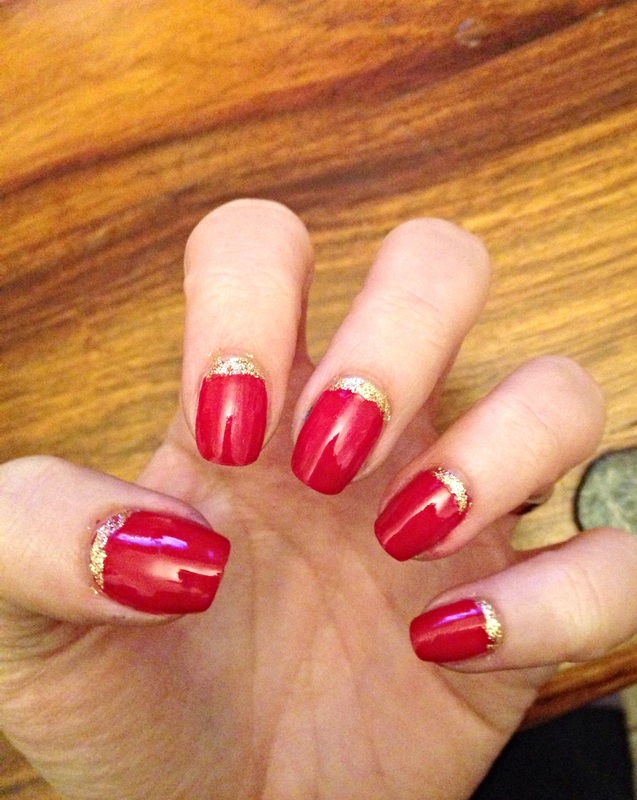 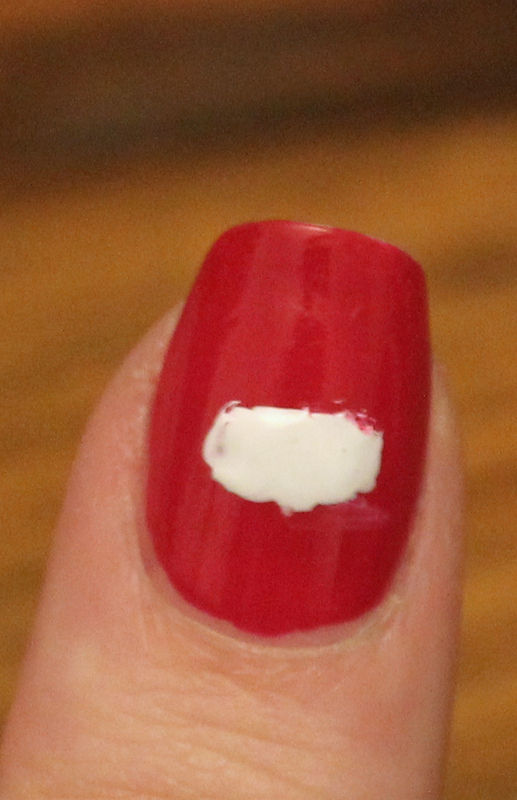 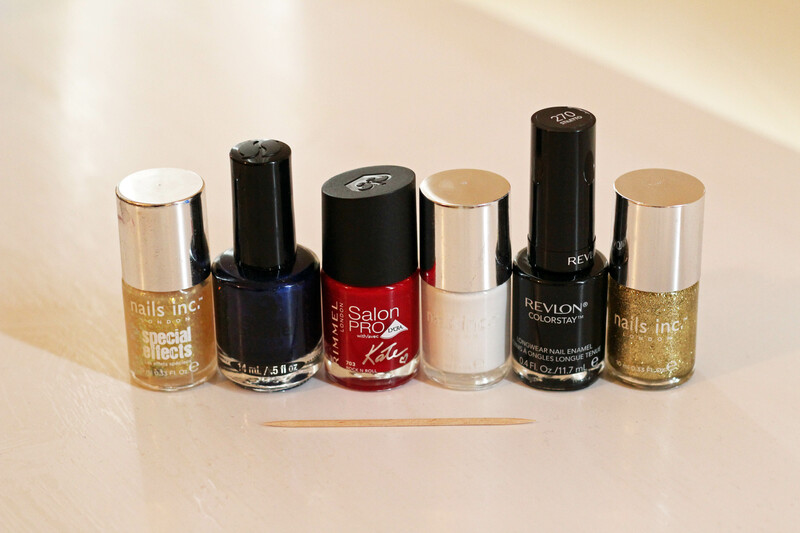 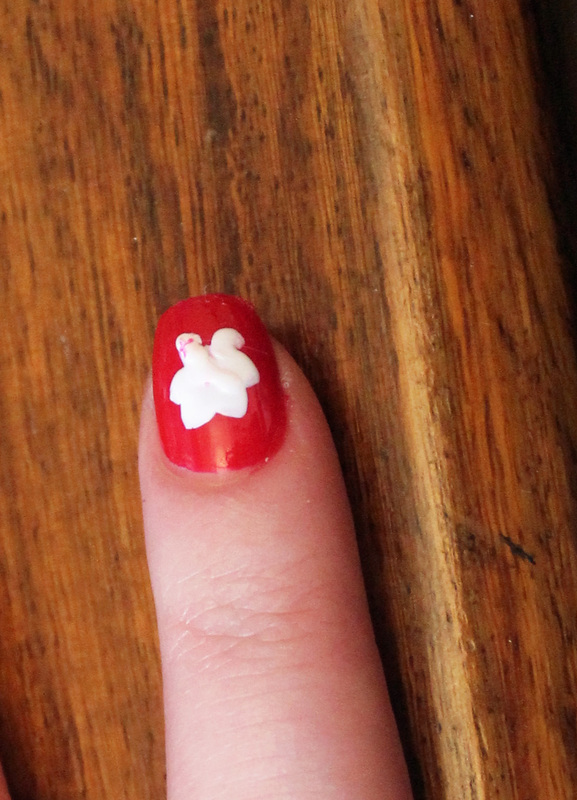 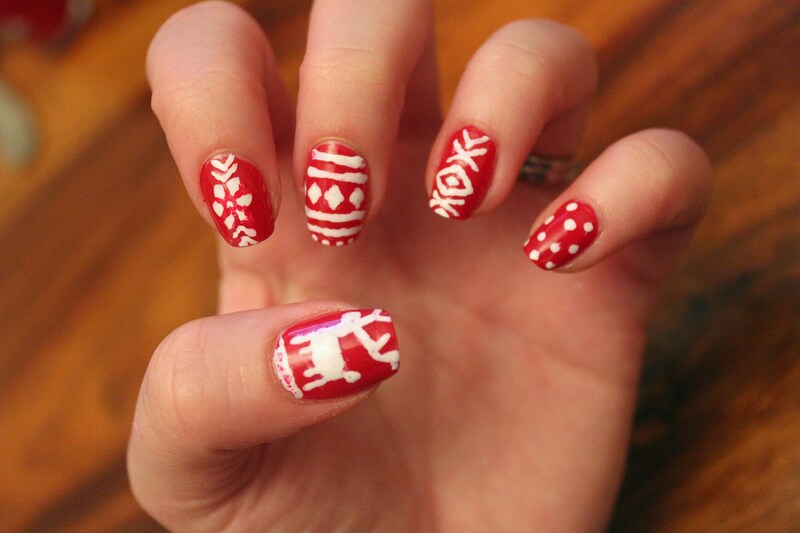 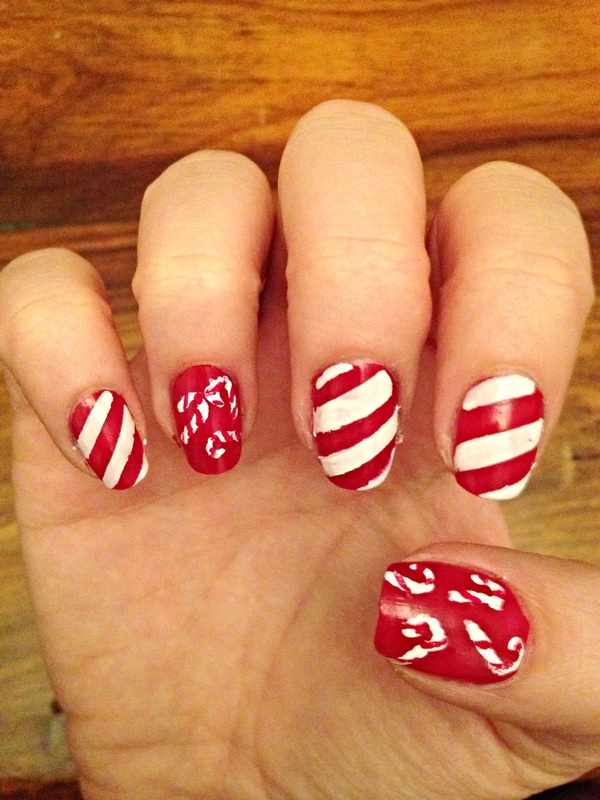 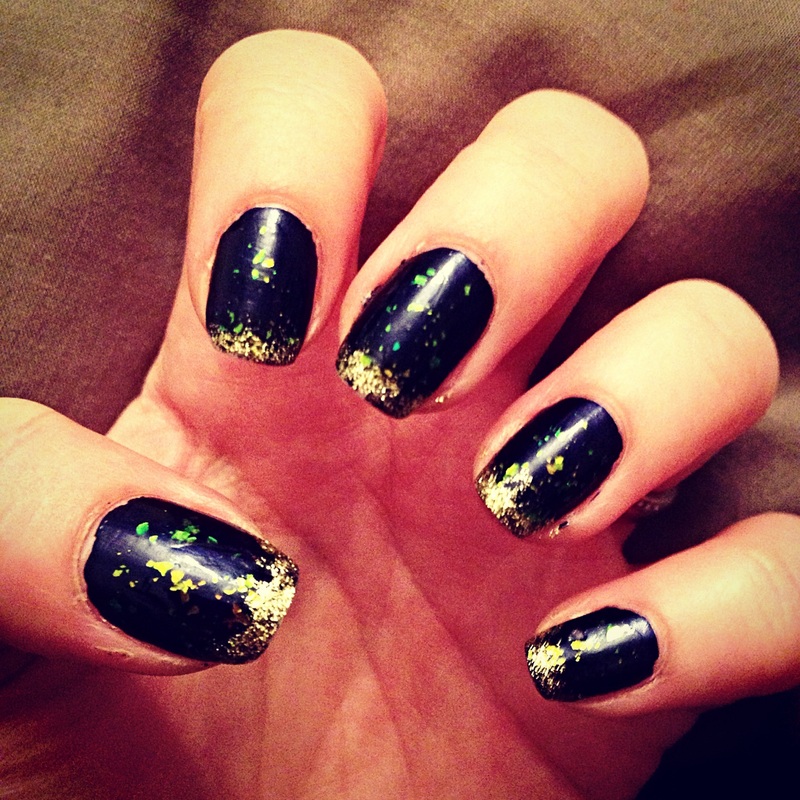 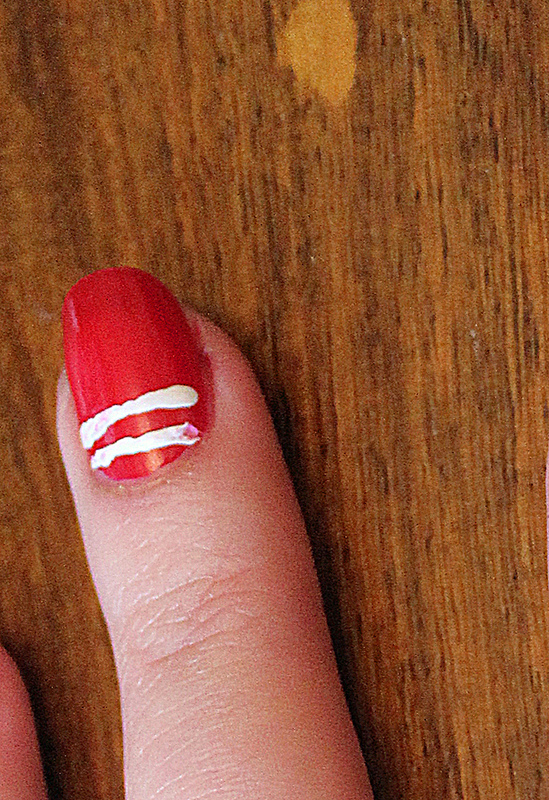 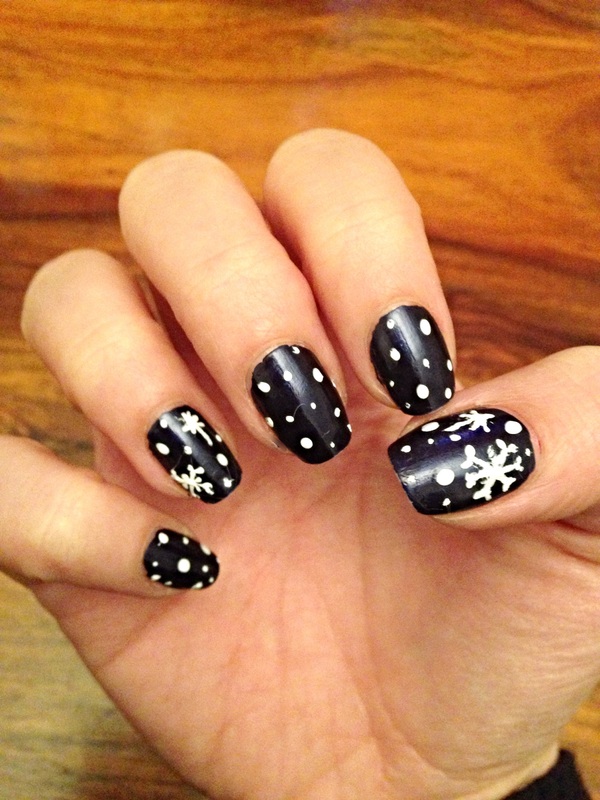 More Christmas nail ideas – using only the products mentioned above..
Liv, i love this post. 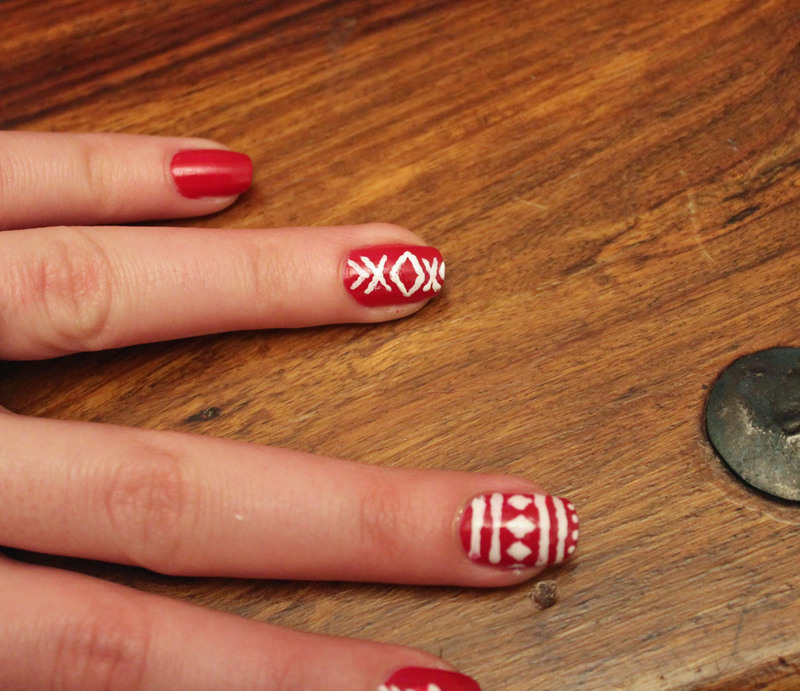 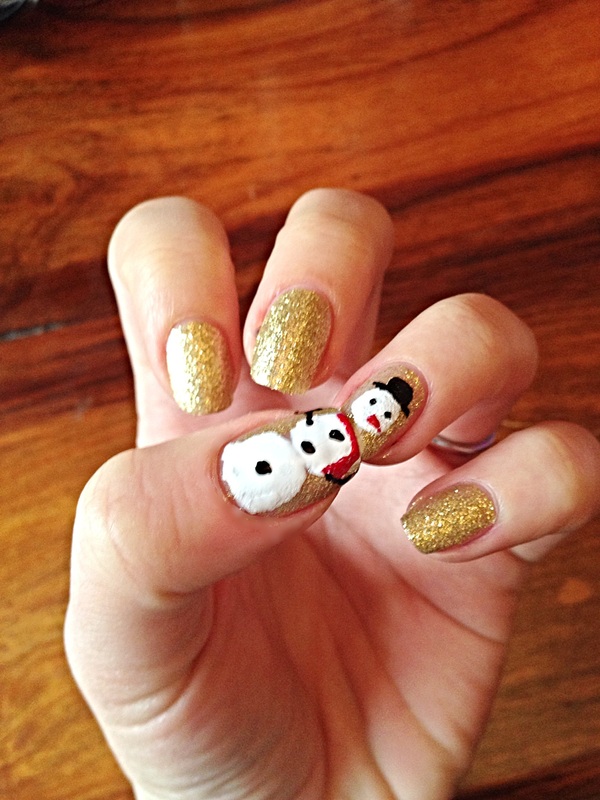 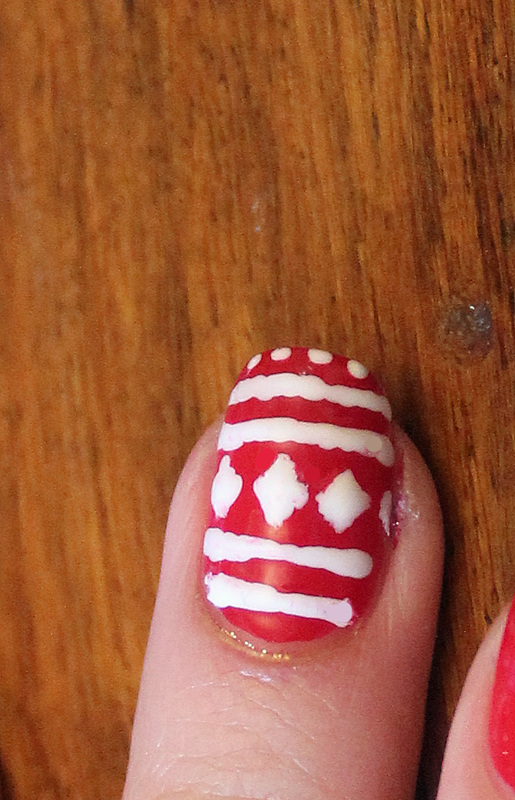 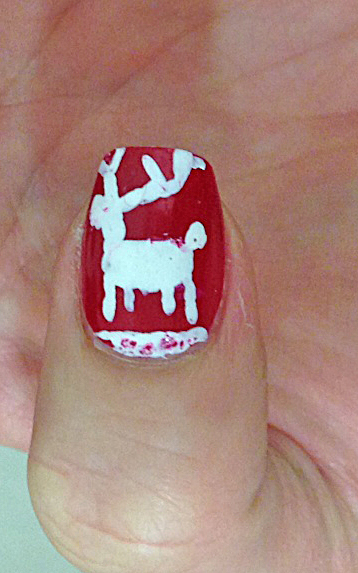 So many cool nail art ideas for the festive season. 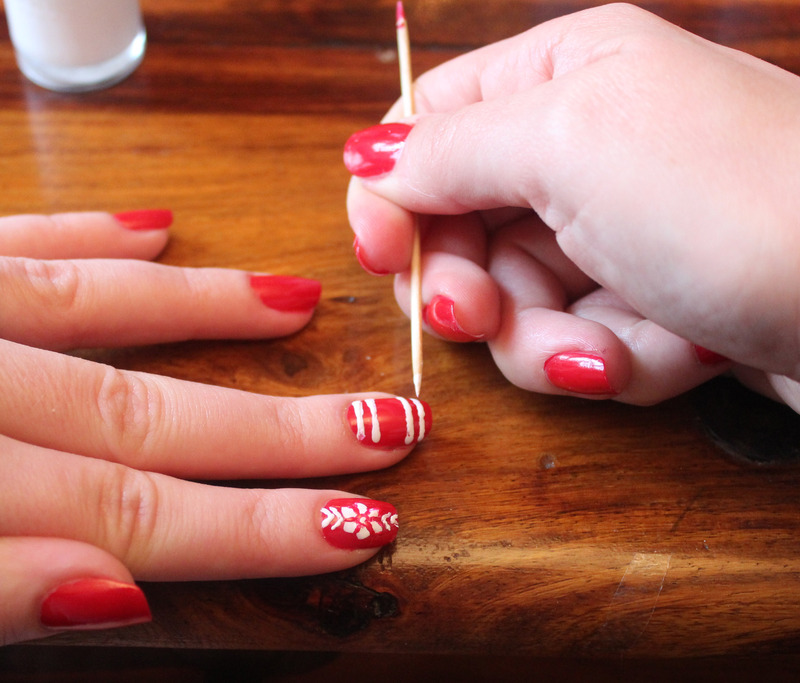 I’m a Beauty Therapy teacher and i’m actually going to use this article in my nail art lesson so my level one’s can practice your designs.